So for the past few months we haven't been eating meat during the work week, strictly vegetarian for dinner. On the weekends we would splurge, have a pizza eat chicken or seafood all that good stuff. So the other night, right before I went grocery shopping Alan sat me down and asked if we could be carnivores this week. He looked at me with sweet puppy eyes and ask if we could have "that little ham that I made before." 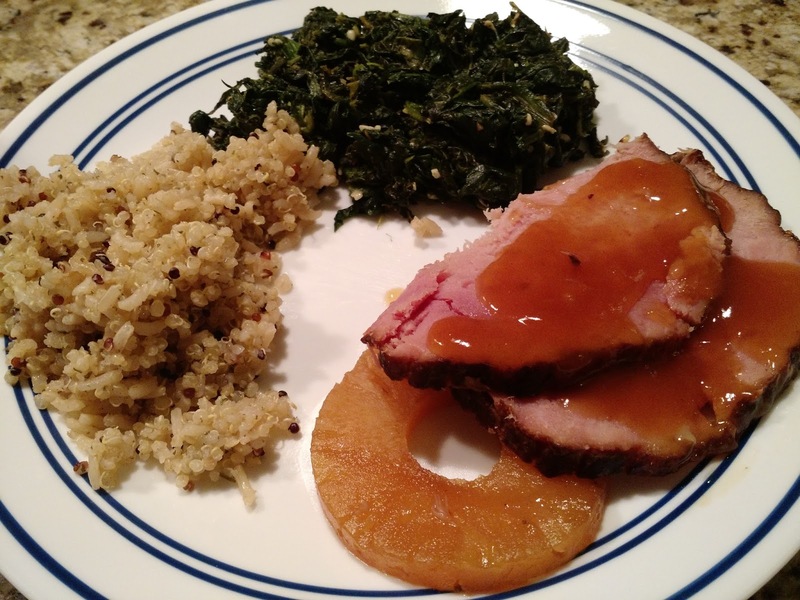 So of course I dug into my recipes and threw this baby in the crockpot because who has time to make dinner anymore! place the juice of the sliced pineapple in the bottom of the crockpot. mix together brown sugar, balsamic vinegar, and honey mustard. cover the ham in it. 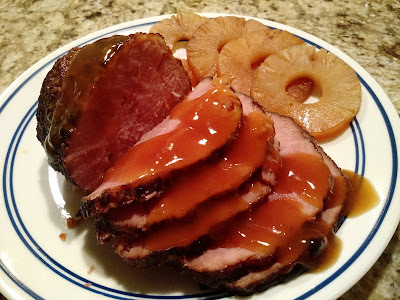 use the toothpicks to pin the sliced pineapple to the ham. Once ham is done, to make the sauce place the juices from the crockpot to a small sauce pan and bring to a boil. Mix together cornstarch and water and then mix it into the saucepan. stir till thickened.